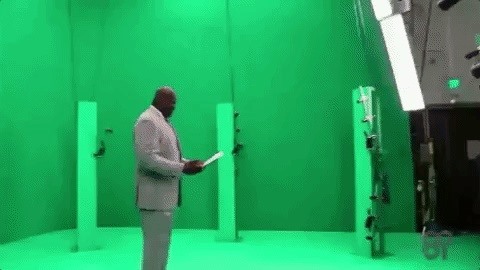 While the device was not displayed on stage, NBA legend Shaquille O'Neal appeared via video wearing a large-sized Magic Leap One: Creator Edition. 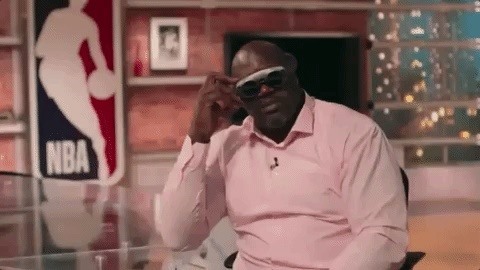 In the video, O'Neal described watching a full-court game projected on the tabletop in front of him. "From our standpoint, while it's amazing what we've been able to do with television in taking the experience to the fans, it doesn't come close to replicating the experience of the arena," said Silver. Abovitz described a number of experiences that will be available to NBA fans via an app, which will be made in partnership between Turner Broadcasting, the NBA, and Magic Leap. The skybox at a game or a tabletop experience is what O'Neal described. Another feature, called Screens, emulates the sports bar experience with numerous TV screens projected in front of the viewer. Fans can meet player holograms through the headset as well. "All of those things are possible, and what we want to do with the NBA is begin to collaborate," said Abovitz. When pressed for a launch date and price, Abovitz deferred to an announcement coming this spring, but he described the price as that of a "premium computer." I think we're honored in essence to be one of their initial partners. We're taking our sports content and looking for new ways to present it and ultimately find better ways to engage fans. At the end of the day, it's storytelling and it's about bringing those experiences that we've all had as sports fans when we're physically in arenas, and working with technology to try to replicate that experience. While we've made a lot of progress over the years, we've never quite found a way to take that experience that you have, that emotional experience that you have at being at a game and found a way to scale it and translate it through technology. 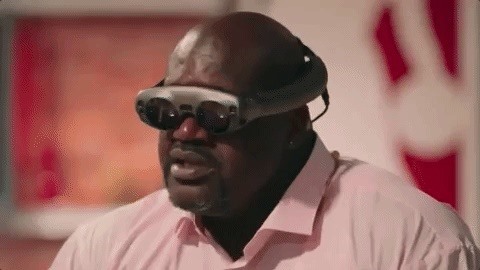 And that's where we see the opportunity with Magic Leap. During the presentation, Abovitz bristled at the device being labeled as augmented reality, preferring the term "spatial computing with digital lightfield." "AR today tends to mean I hold up a phone and I see like stickers through a pass-through video," said Abovitz. "And there's all these really cool AR tools, but most of the world associates that with holding a phone up. And our device or technology experience are all fundamentally different from that. There used to be like the idea of augmented reality in science fiction that we're closer to, but the pop culture word AR doesn't really apply to what we do anymore." Over time, Abovitz expects to offer tiered Magic Leap devices at different price points for professionals, prosumers, and mass market consumers, similar to the various models of iPhones and iPads available today through Apple. The estimated the bottom price range was described as "higher-end mobile phone to higher-end tablet zone." "At launch we will have a curated list of archived NBA games featuring the most exhilarating matchups from recent seasons, as well as a selection of highlight clips of your favorite teams and players. We are working towards bringing the live NBA game experience to Magic Leap One," said Jeff Ruediger, managing director of Magic Leap Screens, in a company statement. "We encourage developers and creators of all backgrounds to start thinking about their own fresh ideas for content and applications." To that end, Magic Leap is now asking developers to reach out to the company with ideas for other Screens experiences at screens@magicleap.com.